Nicecream Factory is a unique ice cream shop that offers the novel experience of tasting hand-made ice creams prepared on the spot using liquid nitrogen and numerous choices of flavors. 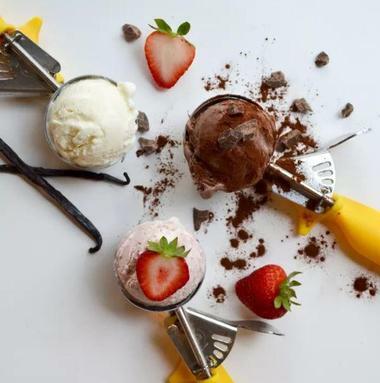 The shop has been offering liquid nitrogen ice creams made of natural and unprocessed ingredients in the Clarendon neighborhood of Arlington, Virginia, since May 2014. The shop produces several traditional and trendy flavors by using only the freshest, locally sourced ingredients. The shop offers outdoor seating, which makes it a great place for groups and kids. The shop also welcomes walk-ins, take-out orders, and catering orders. 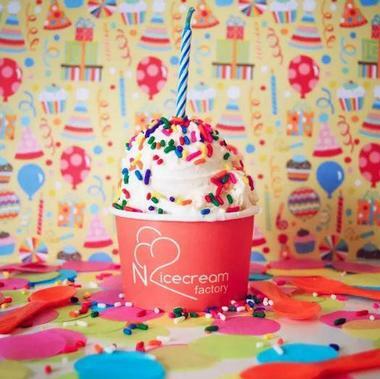 Nicecream Factory is run by farmers market fanatics who are determined to support local farmers. With this resolution, the shop uses local grass-fed cream and other ethically sourced local farm ingredients in its ice creams. In addition to specialty ice creams, the shop also offers gourmet coffees and hot chocolate drinks in its menu – the shop brews the popular Swing's Coffee. Nicecream Factory follows a flavor calendar that is renewed from time to time depending on the availability of seasonal ingredients. The shop puts up six different flavors on its menu every day, such as fresh blueberry, strawberry-basil, fresh blackberry, bananas and cream, honey-lavender, dark chocolate sea salt, spiced vanilla, Purely Pistachio, and several other flavors. The shop also offers several flavors of ice cream pints that are available for purchase in their freezer. Pint flavors change every week, so call the shop to find out which flavor is in stock for that particular week. 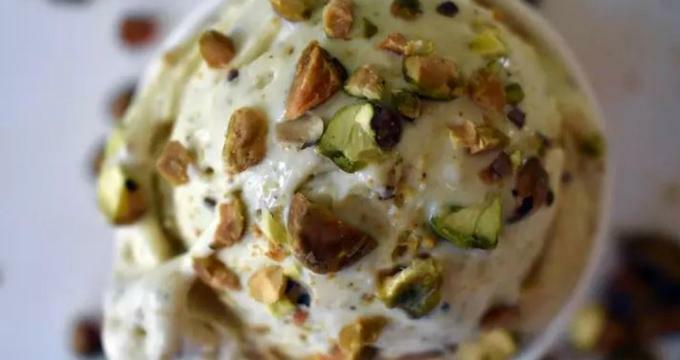 Nicecream Factory can cater ice creams for private events, which offers the guests not only a wide range of flavorful ice creams but also the novel opportunity to watch how their ice cream is made. Witnessing how one’s favorite frozen treat is churned in a flash is definitely an exclusive experience that adds interest to any event. The shop has already catered to numerous parties, fundraiser events, weddings, and other social gatherings. The shop sells gift coins that can be purchased to give the gift of ice cream to near and dear ones. The Nicecream Factory gift coins are perfect to be used as corporate and personal presents as these coins can be redeemed for ice creams at their store. The ice cream shop operates 7 days a week from morning till late night. The shop is open from Monday to Thursday between 11:30am and 10:00pm. On Fridays the shop is open from 11:30am to 11:00pm, on Saturdays they operate between 11:00am and 11:00pm and on Sunday they remain open from 11:00am to 10:00pm.